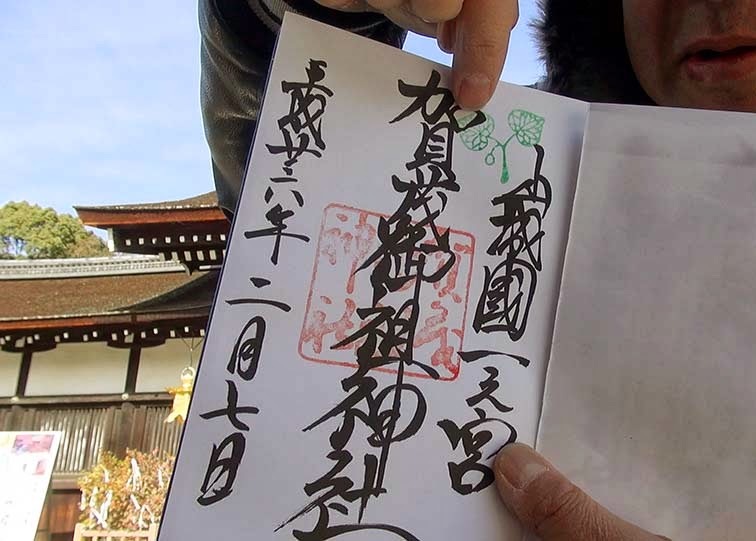 The trip of the tour around the Kyoto shrine of Mimi-san. 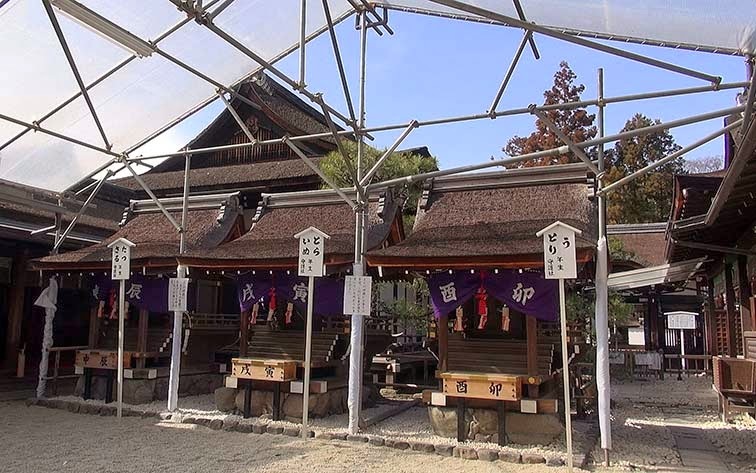 Next, it is Shimogamo Shrine. I will head north on Higashioji street. 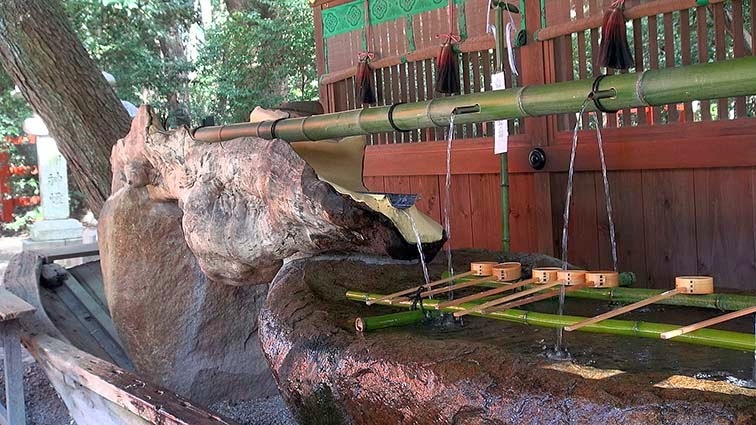 Shimogamo Jinja is located in a somewhat incomprehensible place. The place where the Kamo river and the Takano river flow together. 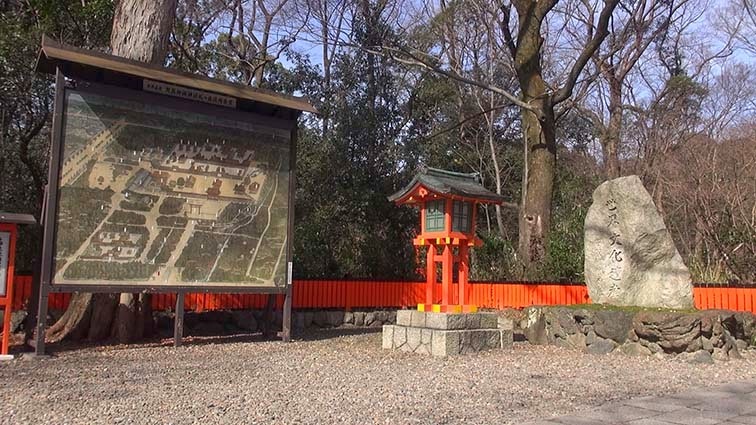 Shimogamo Jinja is located there. The signboard of guidance is everywhere. Therefore, there are few possibilities of losing one's way. 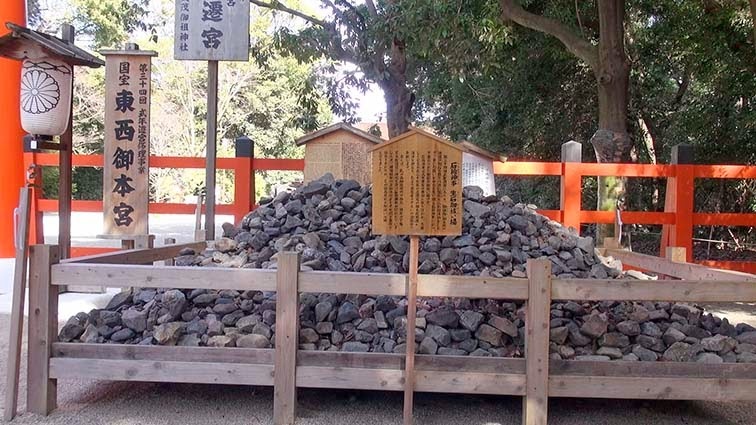 I have reached the southern tip of Shimogamo shrine. Atmosphere of approach is very good. 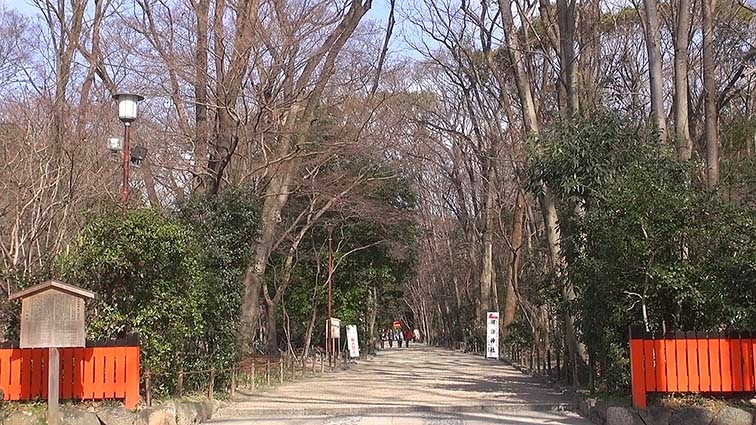 t can go by a bicycle to near the main shrine more. 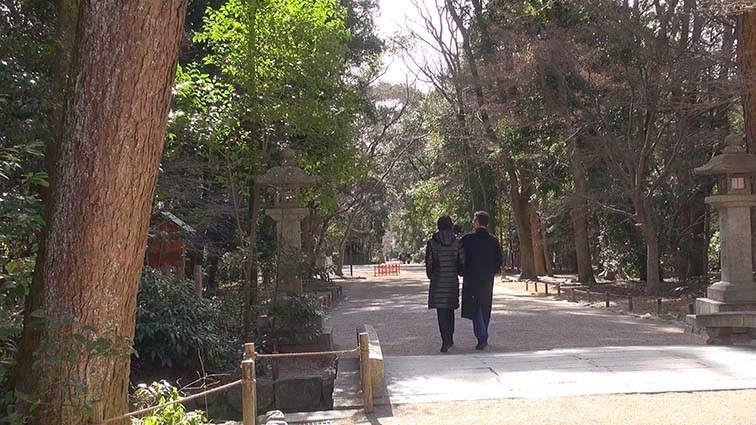 2, Mimi-san pass along the approach of Shimogamo shrine. 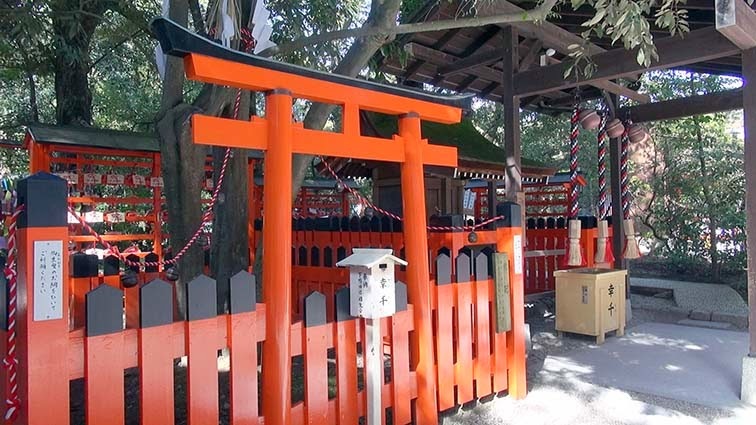 Shimogamo shrine is a popular name. 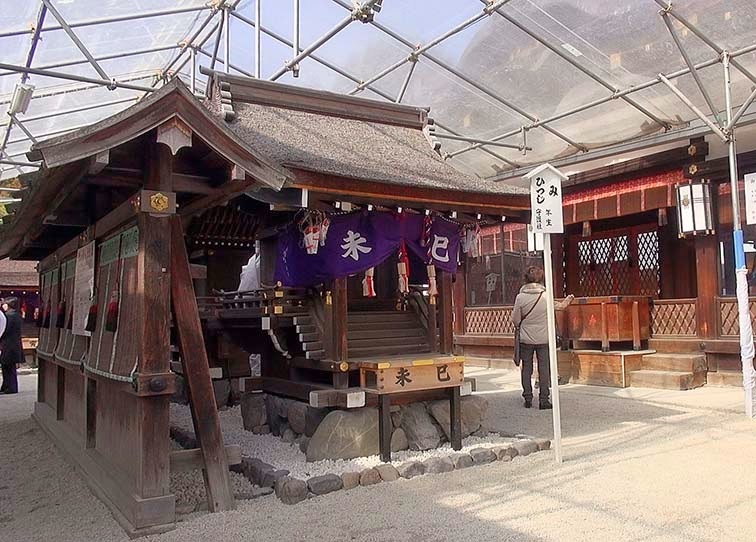 The correct name is "Kamomioya shrines"
There is a monument of world heritage. There is a guide map. 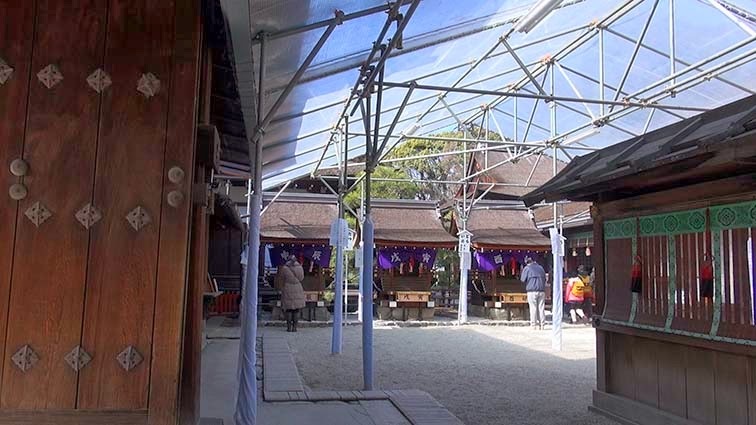 I walked from there to the main shrine. 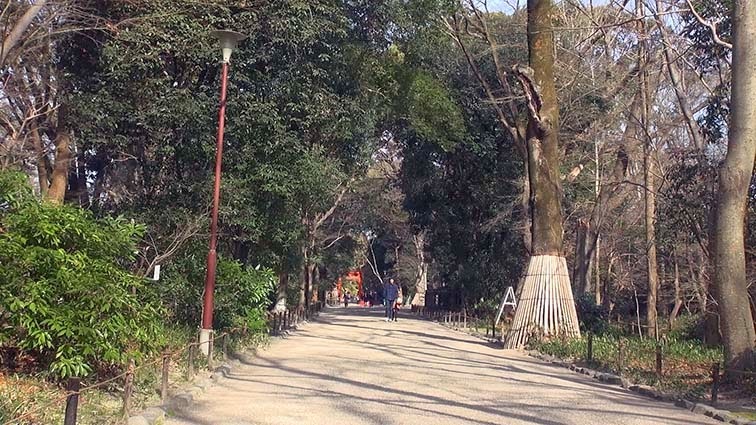 The street lined with trees of the shade of a tree. 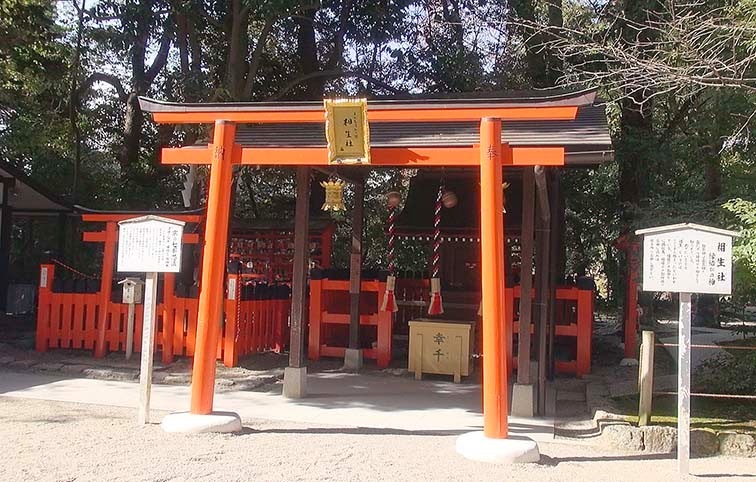 There in front of the torii Chozuya. 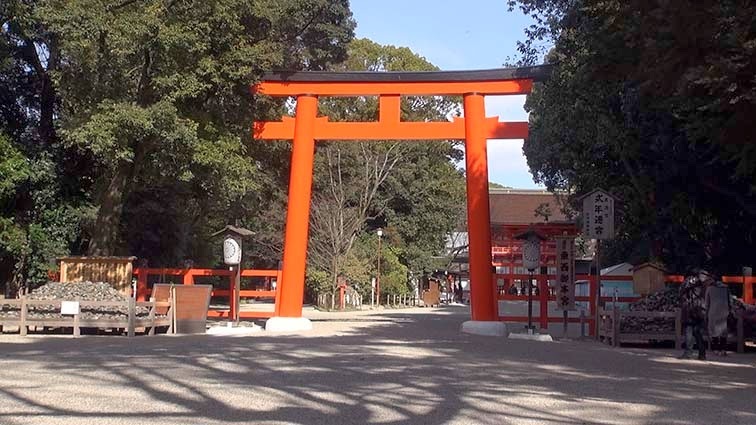 There is a stone on the left and right sides of the torii. The back of the torii. This is the god of marriage. Two trees is also one on the middle. So this shrine is marriage. There is a Buden on the inside of the tower gate. 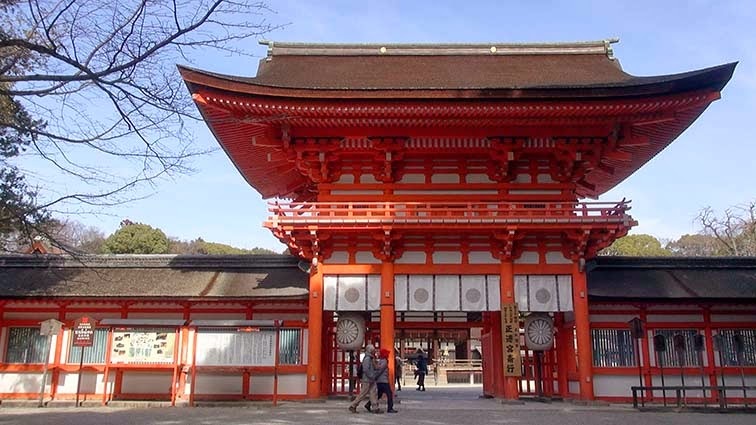 Tower gate is larger red. 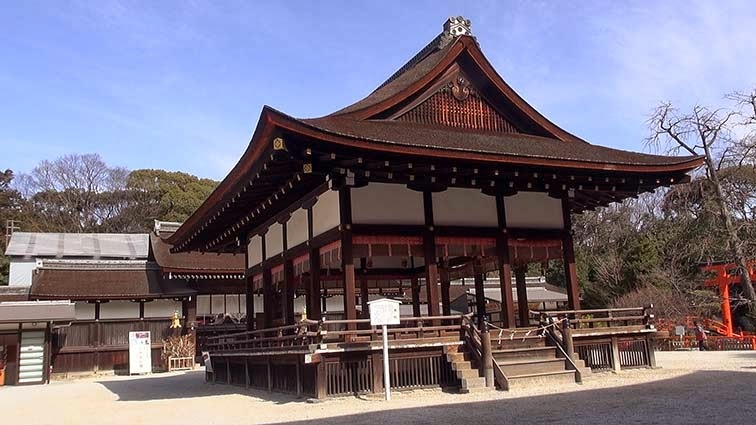 There is a main hall on the inside of the inner gate. 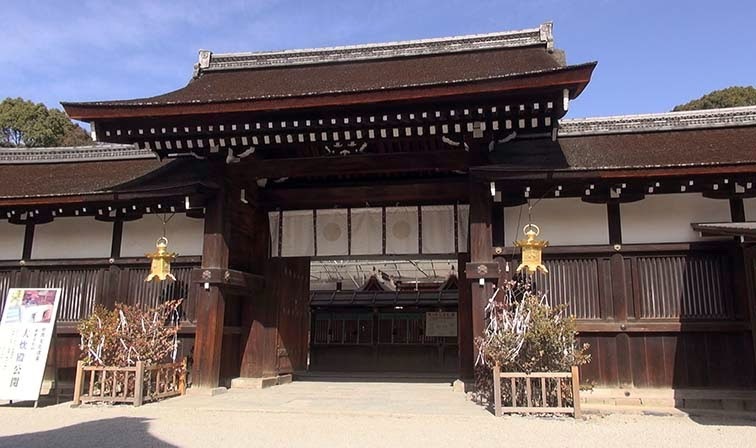 There is Kotosya on the inside of the inner gate. It is a small Yashiro of seven. God which protects the sexagenary cycle is dwelling. I got the red seal. It can get outside an inner gate.